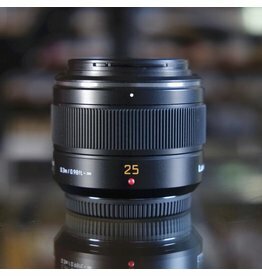 Panasonic Lumix Leica 25mm f1.4 ASPH DG Summilux lens for Micro Four Thirds digital cameras. A fast prime lens with Leica design input, this lens is in excellent condition, and includes its original hood. Panasonic Lumix Leica 25mm f1.4 ASPH DG Summilux. Panasonic Lumix G 45-175mm f4-5.6 X Vario Power O.I.S. 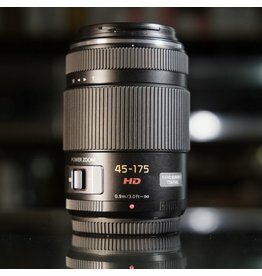 lens for Micro Four Thirds. This is a good quality telephoto zoom lens in excellent condition, with a power zoom option that’s ideal for video use. Includes lens hood. 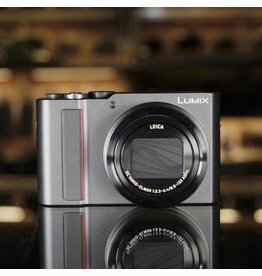 Panasonic Lumix G 45-175mm f4-5.6 X Vario Power O.I.S.